Filebeat — a component of the popular Elastic Stack — monitors log files for important events and sends relevant items to Elasticsearch or Logstash for indexing. 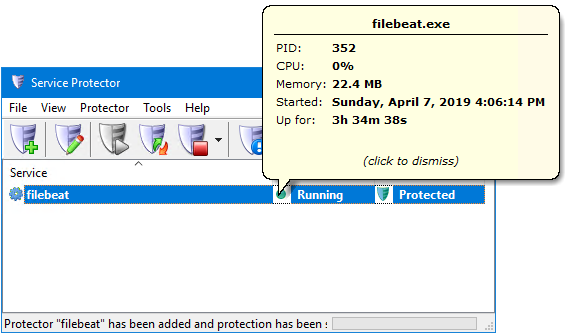 Download and install Filebeat as a service, if necessary. Configure it to work as you like. 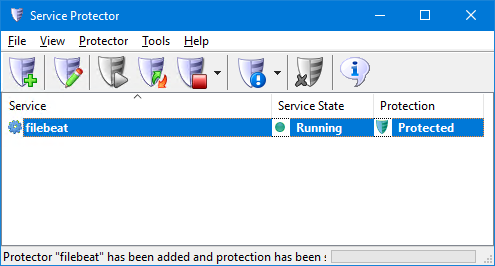 Download and install Service Protector. 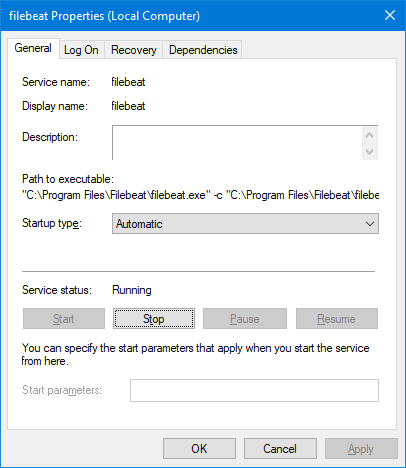 If you would like to ensure that Filebeat remains "fresh" and survives memory leaks and other degradations, click over to the Monitor tab and setup a regular restart. We are done with the recommended settings so click the Save button to record your work. In a couple of seconds, an entry for Filebeat will show up in the main window. That's it! 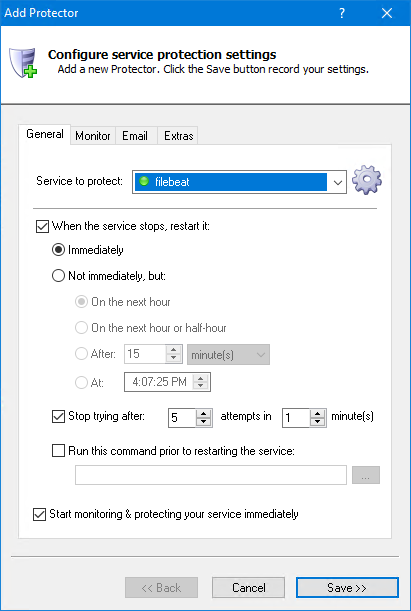 Next time your computer boots, Filebeat will start and Service Protector will begin monitoring the service to promptly restart it if it fails. 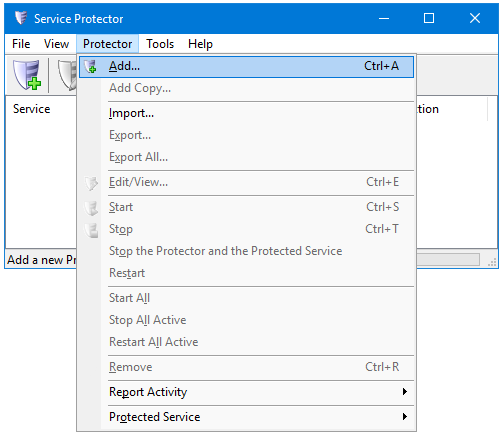 We encourage you to edit Filebeat in Service Protector and check out the many other settings that may be appropriate for your environment. For example, send an email when the service fails, terminate the service if it gets stuck stopping or starting, and much more. 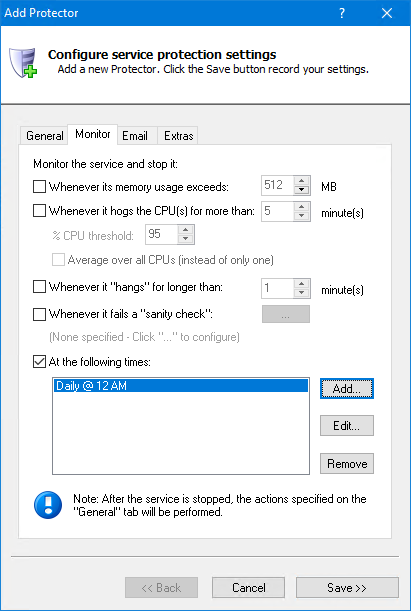 Trouble protecting the Filebeat Windows Service?